Summary: Penguin is in a bad mood. He doesn’t know why, and he doesn’t care. When he gets home, he slowly gets undressed. First he takes off his grumpy coat and grumpy boots, but he still feels grumpy. Then it’s his grumpy socks. No change. Finally, when all his grumpy clothes are off, he counts to three, and slides into a nice cold bathtub where he can splash and play. His favorite pajamas and a cup of hot chocolate take away the last vestiges of grumpiness. He goes to bed, knowing that he will wake up to a happy new day. 32 pages; ages 3-6. 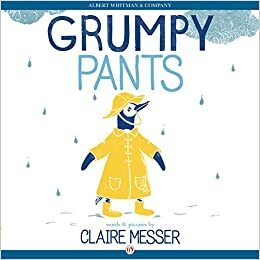 Pros: Simple text and illustrations will help kids understand and deal with changing emotions, aided by a very cute penguin. Cons: The appearance of heart-covered red underpants may distract kids from the more important lessons of this story.